Dr. Rutherford and the staff at Gentle Dental Care look forward to hearing from you! We offer several general, restorative, and cosmetic dentistry procedures designed to meet your dental care needs. 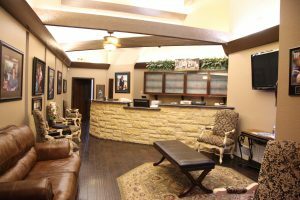 And, if you have trouble going to the dentist, our sedation dentistry treatment can help make your visit as stress-free and relaxing as possible. For more information on any of our procedures or to schedule a consultation, please fill out the form below.